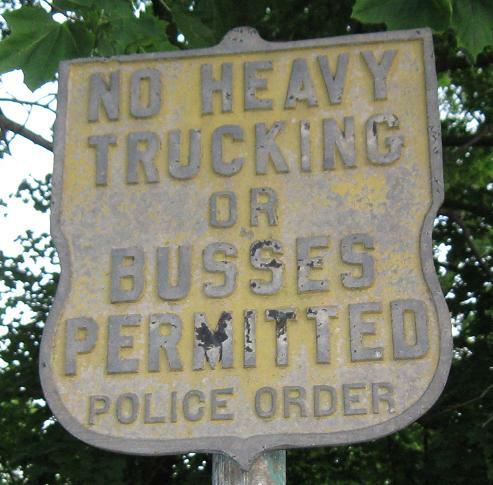 In the interest of preserving south to north order, the best comes first. 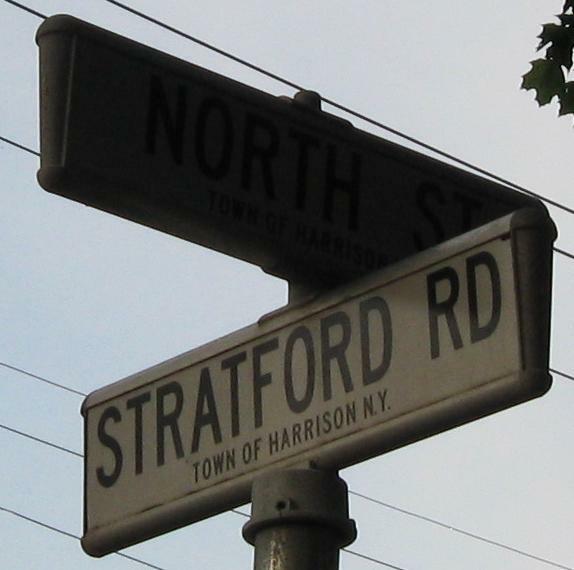 Thanks to John Krakoff for pointing out the good stuff still on NY 127 such as this 1920's distance sign SB at Park Ave. in Harrison. 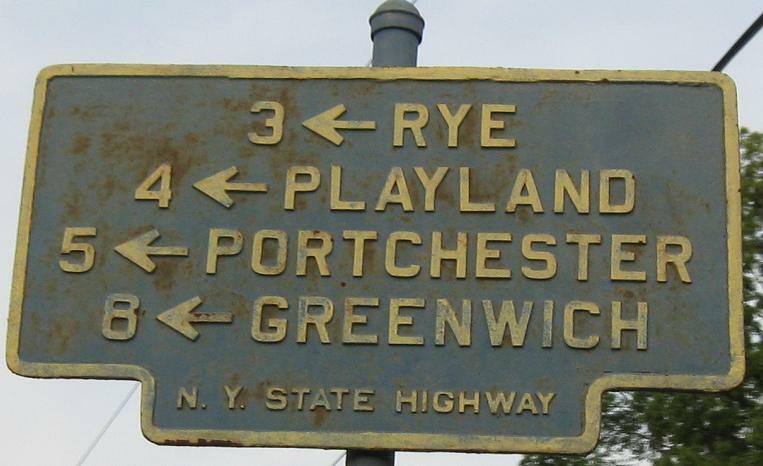 John also told me which street to look for (NY 127 is North St.) further to the north where I could find these faded signs on both sides. 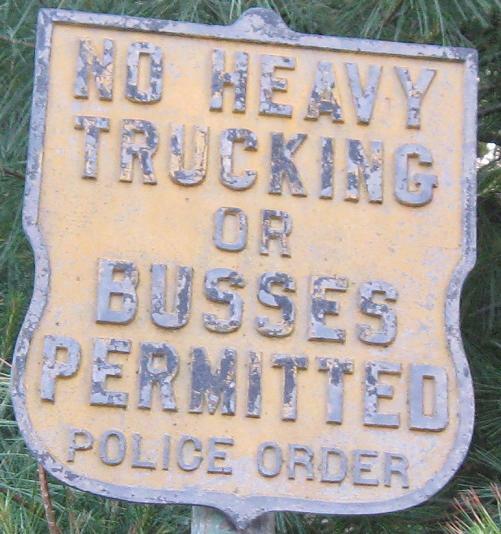 No busses? But my beau looks dashing! 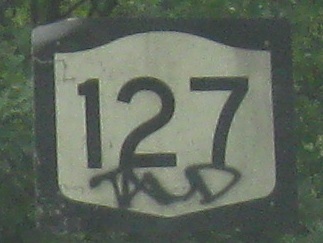 NY 127 NB where it ends east of I-287 Exit 8, courtesy Doug Kerr from before these old shields were replaced. 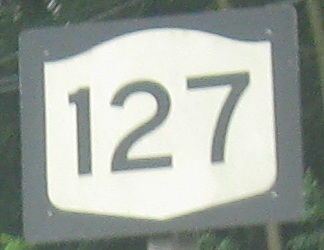 NY 119 was once Westchester Avenue west of here, but now begins over at NY 22.